Before delving into what Islamic unity actually is, let us first understand what it isn’t. Many of those in opposition to Islamic unity allege that the advocates of unity are in fact trying to create a new universal madhab (school of thought) based on commonalities, excluding all differences. This claim is completely ludicrous and illogical, for it would be a motion that the Muslim populace would never agree upon. Rather this is just a malicious allegation with the intent of defeating all hopes of unity. The differences between the various madhahib (schools of thought) are here to stay. These differences are the results of 1400 years of scholarly debate to expect a solution today is sheer madness. Therefore Islamic unity has nothing to do with madhab conformity it instead has to do with madhab tolerance, it is a call to ‘agree to disagree’. Agreeing to disagree gives us the ability to remain amicable and tolerant of each other whilst upholding contrary opinions. This is of utmost importance especially when dealing with highly sensitive, emotion arousing, issues. We humans are capable of committing horrible deeds when our emotions go unchecked. In the above video Shi’a pilgrims are removed from a bus and brutally massacred. Shi’a Pilgrims travelling to Mashad are routinely executed barbarically by Lashkar-e-Jhangvi Terrorists. Sunni Hanafi/Barelwi Muslims were in the midst of celebrating Mawlid (the Prophet’s (S) birthday) when a massive bomb exploded killing 50 innocent people, including many preeminent scholars. The Lashkar e Jhangvi group an extremist Sunni Deobondi group claimed responsibility for this heinous attack. The Lashkar e Jhangvi are doctrinally opposed to the celebration of Mawlid. Shi’a and Sunni Muslims in Iraq are targets of suicide bombings, improvised explosive devices, lynchings, kidnappings on an almost daily basis at the hands of Al-Qaeda and other affiliated groups. Deriving from these similarities Muslims, devoid of madhahib, tend to have the same needs in life, thus Islamic unity would make life less difficult because we would be able to achieve our goals en masse. This is especially evident for the Muslims residing in non-Muslim nations. The famous saying “united we stand, divided we fall” is more than apparent in the Muslim world. Nearly the entire Muslim world is under subjugation from outsiders who are reaping benefit from our disunity. When we as a people are disunited we are weak and easily subdued. Our resources are stolen and our people suffer. Almost the entirety of Muslim nations are destitute and under subjugation of imperialist powers. The Organization of Islamic Cooperation (OIC), composed of 57 nations and 1.6 billion people would seem to be hardly a pushover, instead the OIC is a joke. As a power bloc it has done nothing remarkable for the betterment of Muslims, look at the suffering people of Palestine and Kashmir. Are there any alternatives to Islamic unity? Yes, there is one notable alternative to Islamic unity and that is to borrow the idea of peace-lines. From the 1960s to the late 1990s there was a huge conflict between the Protestant and Catholic Christian peoples of Northern Ireland. This conflict led to the bloodshed of thousands of innocent human beings, finally being brought to a stop by the construction of huge walls segregating the Protestant and Catholic communities. By physically separating the Sunnis from the Shi’as, the Sufis from the Salafis, there would no longer be any bloodshed. How effective would it be to build walls throughout Cairo, Baghdad, Damascus etc in order to maintain peace? It is most certain that the majority of readers have taken a course in Psychology, either in high school or in university studies. In this field of psychology, there is a huge study called personality and behavioral psychology. Within this study, a major focal point is the concept of the human ‘ego’. This ‘ego’ as defined by the academics, is the view of oneself, the thing that distinguishes oneself from the other selves, self-importance. This ego is a major cause of concern because of the negative aspects it produces: pride, arrogance, anger, hatred, jealousy, revenge, etc… The ego is an issue that all people face but yet it is one of the hardest to distinguish. For example if one is an alcoholic, it is visible & self-evident to everyone. But, issues with the ego are internal and cannot be quantified. Just as alcoholism ruins lives, similarly the ego ruins lives. There is much research and discussion on the issue academically and within secular sciences, but the true answer to this dilemma is found within the religion of Islam. Before delving into the Islamic aspects, let’s first quickly glance at one psychological theory on the ego. 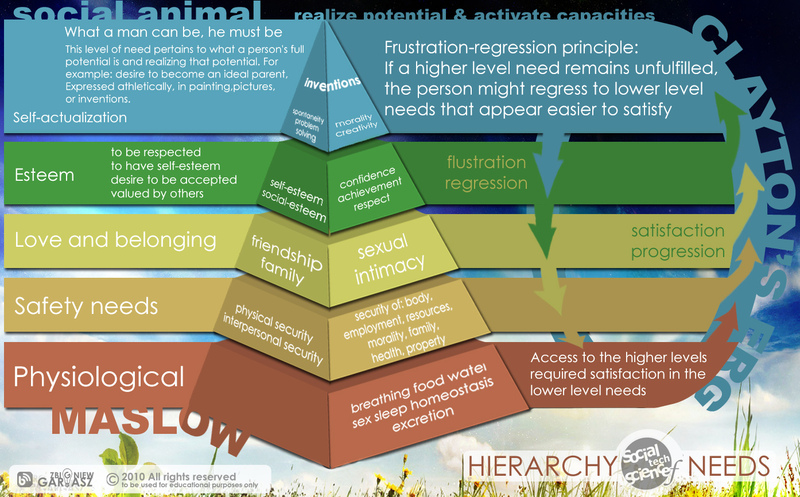 Abraham Maslow, a 20th century psychologist, through his extensive research proposed a “Theory of Human Motivation”, now known as “Maslow’s Hierarchy of Needs”. His theory is presented in the shape of a 5-layered pyramid. The lowest two layers are the physiological and safety needs, the middle two layers are love/respect esteem, and the highest layer is self-actualization. Thus Allah SWT is asserting that all knowledge can be found in the Qur’an. This is the beauty in the religion, the concept that Abraham Maslow prepared after intense research was already told in the Qur’an fourteen hundred years prior. Thus to quell the negative forces of our ‘ego’ we must have constant remembrance of Allah SWT, in essence being humble in every act we do, inwardly and outwardly. instead he was ready for the ultimate sacrifice. 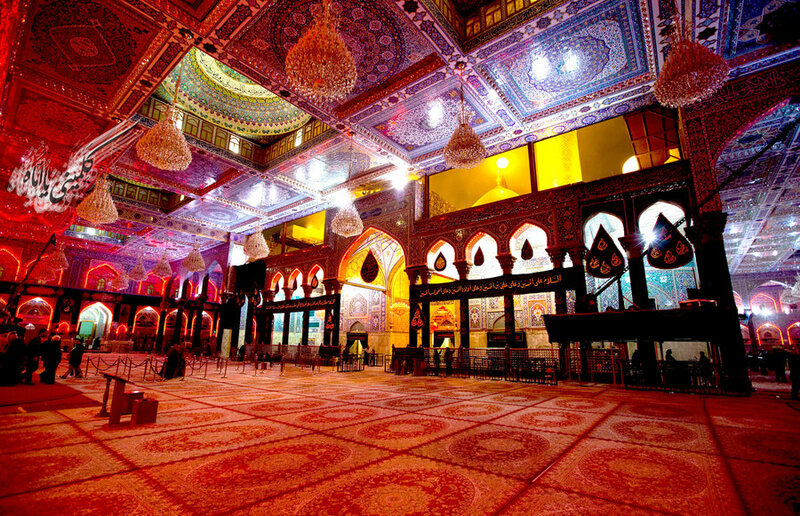 The extreme opposite of ‘nafs al-mutmainna’, one of the most animalistic individuals in history was Yazid(la). The Qur’an further tells us what happens to those who follow their ego and have no humbleness no humility. People who follow their egos, their hearts have become hardened, whilst they enjoy life. Albeit this enjoyment is a false enjoyment, it is just an illusion, whereas real enjoyment is at the stage of self-actualization, where ego is erased and man reaches his greatest potential. This project will take some time to accomplish, iA within the next 3-4 months. I am compiling the verses of the Holy Qur’an that are in relation to the Ahlul-Bayt. This is a WORK IN PROGRESS, where I will add the Chapters + Verse Numbers every day until I go over all 114 Chapters. After compiling the list I will then slowly post the tafsir/interpretation of each verse. The terms ‘Qalb’ (s) and ‘Qulūb’ (pl) are used multiple times in the Qur’an by the Almighty, to denote the heart. For the heart is the focal point of the being, physically and metaphorically. In regards to belief the Almighty has given a very important role to the heart. The heart of all humans contains the measurement of one’s intentions; a heart filled with malice and bad intentions is diseased. To ensure that the hearts of the believers remain spiritually clean, the Almighty has given us the ‘Taqwa’. The term ‘Taqwa’ means piety, which in the realm of Islam points towards devotion; devotion towards the Almighty and His religion, Islam. The Almighty has stated in the Qur’an how one can attain this piety. The Almighty says to have, ‘Taqwá Al-Qulūbi’, piety of the heart one must respect the ‘signs’ of Allah. The term ‘sign’ is ambigu- ous unless researched. The Almighty uses the Arabic word ‘Sha`ā’ir’ to designate ‘sign’ of the Almighty. To understand what this means one has to look at how this term has been used at other locations in the Qur’an. Hajj, with extreme importance to the sacrificing of animals. The sacrificial animals are themselves ‘signs’ of Allah, including the garlands and ropes that they are tied with. It is remarkable that the garlands and ropes are also ‘signs’ that we must respect. The Qur’an does not limit the ‘signs’ to just these but in fact extends it to all items of remembrance. The reason behind this is that all these items remind us of the sacrifice of Ibrahim (A) and his son Ismael (A). This sacrifice is detailed in the Qur’an. The Almighty has promised that this sacrifice will be repeated by a descendent of Ibrahim. 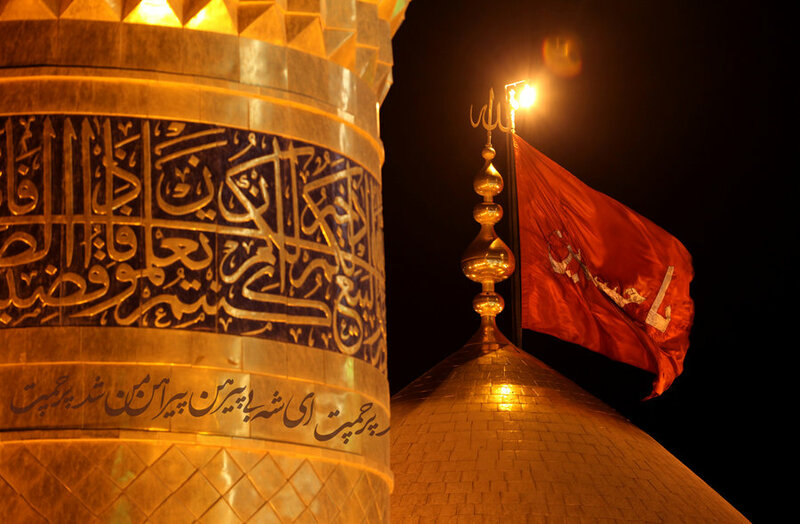 Which, by the Ijmāʿ(consensus) of the scholars it is noted that this sacrifice ‘dhibĥin `Ažīm’ was re- peated as the sacrifice of the family of Muhammad (S) at Karbala, Muhammad (S) being a descendent of Ibrahim (A). 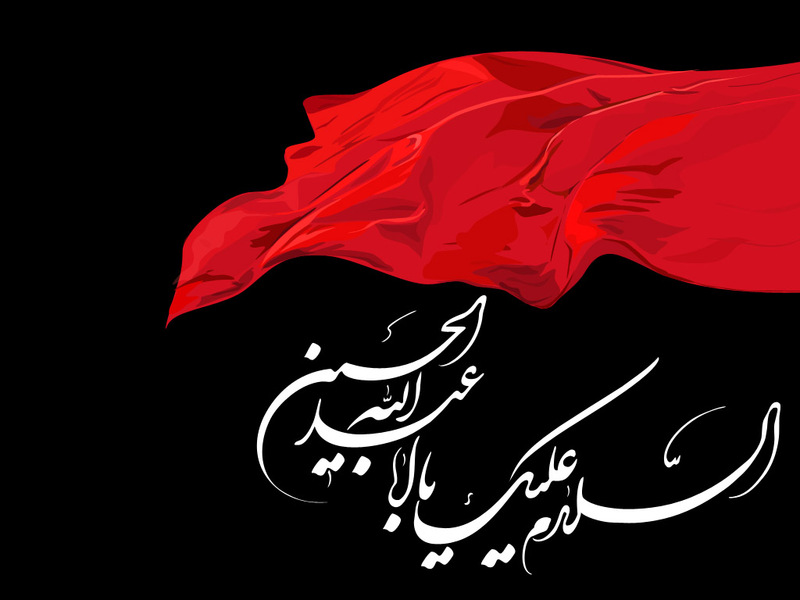 At the battle of Karbala the grandson of Muhammad (S), named Hussain (A), sacrificed all that he had in the love of the Almighty. Thus all of the artifacts that create remembrance for this sacrifice are consid- ered ‘Sha`ā’ir’ ‘signs’ of Allah similar to that of Hajj. If sacrifice of Ibrahim (A) and Ismael (A) are remembered annually than Kar- bala too must be remembered annually. If the scanty ropes tied on the necks of sheep are ‘signs’ than the ropes tied on the flags and standards during Ashura processions, too are ‘signs’ of Allah. Thus it is our duty to honor and respect the artifacts of Azadari lest our hearts become diseased.